Monogrammed Beach Towels. Cabana striped Pink or Turquoise Blue beach towel name. Summer pool party. Spring Break. Bridesmaids. Dorm. Kids. Announcement $6 flat rate shipping, everyday! 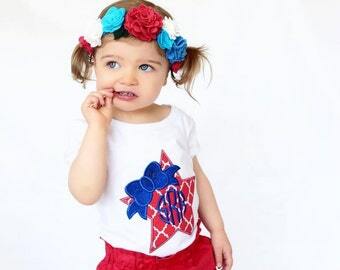 Gentry CA offers the best collection of monogrammed apparel, accessories, and gifts for babies, kids, and women. Shop our online boutique now! SHIPPING UPDATE: We are now offering $6 flat rate shipping, every day! Our current production time is approx. 7-10 business days plus shipping from date of order! Due to the custom nature of each order, all sales are final. If we have made special arrangements to cancel your order, a non-refundable 25% fee will apply to cover any incurred costs on the behalf of the shop owner. Thank you for your understanding! Current production time is approx. 7-10 business days plus shipping. Please be sure to include all pertinent order information in the Notes to Seller section at checkout, missing order information will result in delays. Thank you! If you need a rush order, please contact me PRIOR to purchase so ensure I can accommodate your request. A rush order upgrade will often apply. By purchasing from my shop, you are agreeing to all production time frames and agree to my provided shop policies. Please visit our shop policies for more info and convo me with any questions! By purchasing from my shop you are agreeing to my shop policies. Thank you! $6 flat rate shipping, everyday! Gentry CA offers the best collection of monogrammed apparel, accessories, and gifts for babies, kids, and women. Shop our online boutique now! Easter bunnies shirt with name. Monogrammed Bunny tshirt or Infant Bodysuit for baby boy, toddler, child. Personalized Easter clothes. Valentine Shirt. Monogrammed Girl's shirt. Monogram for little girl, baby, toddler. Valentine's Day tshirt. Children's boutique clothing. Monogrammed Beach Towels. Cabana striped Pink beach towel name. Summer pool party. Swimming Lessons. Dorm. Kids. Cute name towel. Baby Boy Monogrammed Blue Baby Gown. Name on boy's infant gown. Baby shower gift. New baby present. 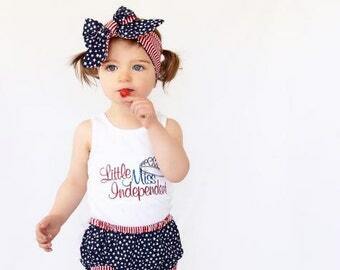 Boutique baby clothing. Embroidered. Monogrammed blue baby blanket. New baby boy present with monogram. Custom embroidered. Cotton baby receiving blanket with initials. Monogrammed Full Zip Cadet Collar Sweatshirt. Warm cardigan with monogram.Women's Sweatshirt for Fall, Winter. Full zipper sweatshirt. I’m Vibeka, owner and designer at Gentry CA: a mom-owned shop offering monogrammed and personalized apparel, accessories and gifts for babies, children and women. The idea of Gentry's Closet all started with just a baby girl and beautiful bows! As a new mama, I found myself dreaming up and crafting hair bows and headbands faster than our baby girl could wear them! With a little coaxing from my friends, I opened my online shop, Gentry’s Closet, in 2011. Since then, we’ve grown by leaps and bounds (much like our little ones do!). In 2016, we changed the shop’s name to Gentry CA – and our primary focus now is on personalized, monogrammed designs not just for baby, but for kids of all ages and their moms, too! We believe there’s nothing sweeter or more special than a monogrammed gift made just for you. I love designing for Gentry CA, and when I’m not doing that, it’s all about family for me! My hard-working and handsome husband and I live in Northern California with our two darling - and wild - little girls, Gentry and Chloe and our sweet baby boy, Jack. They’re the motivation behind this biz, and they inspire me every day! Thank you for trusting Gentry CA to provide you with quality, timeless treasures and amazing customer service. I can’t wait to create something truly special for you! Thank you for visiting my space in the Etsy world! Mama to 2 Girls and a Boy. Wife to my sweet hubby. And #momboss behind this crazy and wonderful monogrammed business! Thank you for visiting Gentry California! Gentry CA offers the best collection of monogrammed apparel, accessories, and gifts for babies, kids, and women. Shop our online boutique now!